A legal resource for cultural property, archaeology, and art law enthusiasts. 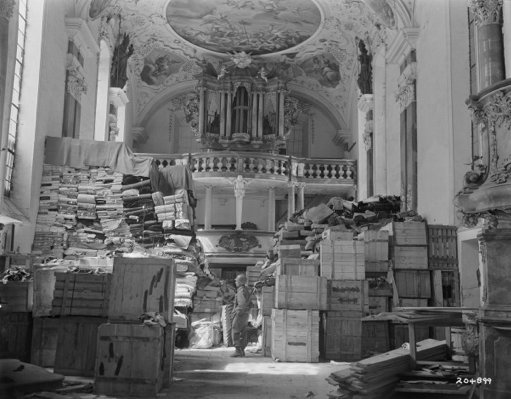 An 80-year-old Munich man inherited upwards of a thousand pieces of artwork from his father, and 500 of the works are suspected to include pieces taken from Jews during the Nazi regime. During the war, Cornelius Gurlitt’s father was one of the four major art dealers for Hitler himself. The German government confiscated the trove two years ago when they discovered them during a chance customs check of the Gurlitt’s home. 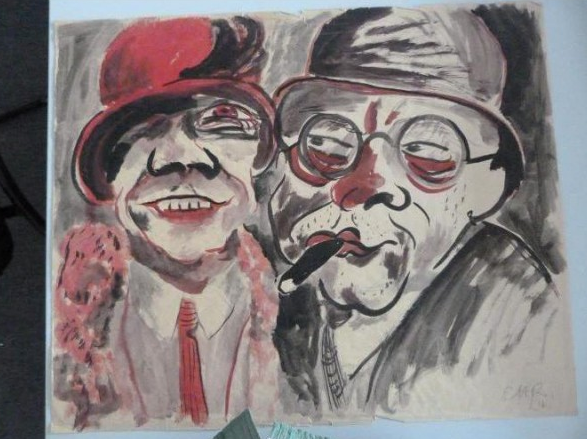 The government kept this confiscation a secret until just recently, and Gurlitt has correspondingly broken his silence and given an interview to the German magazine Der Spiegel. The old man says that this experience is more painful for him then losing his father or mother, or his sister getting cancer. He explains that he loves the works, and will not give them up freely. No one had ever seen Cornelius Gurlitt in his nightshirt before, until a day in February 2012, when they broke the lock and marched in — the strangers, as he calls them — the customs investigators and officials with the Augsburg public prosecutor’s office. His apartment was his world. But now these strangers had entered. There were many of them, perhaps 30, and they didn’t go away. Instead, they spent four days wrapping up his life in blankets, packing it into cardboard boxes and carrying it away — well over 1,000 works of art. Meanwhile, Gurlitt was expected to sit in a corner and remain quiet. He complied with their wishes, watching as they removed Max Liebermann’s “Two Riders on the Beach” from the wall, a work that had hung there for decades, and took the Chagall from the locked wooden cabinet. They left nothing behind, not even the small suitcase containing his favorite pictures, a collection of works on paper. For decades, Gurlitt had unpacked the drawings each evening to admire them. Now they were gone and Gurlitt was alone. The only other person who came to see him was a woman from a counseling service who had been sent by the strangers. He uses words like “gruesome” and “horrible” to describe this visit, in which he was expected to talk about his feelings. He assured her that he had no intention of killing himself and asked her to leave. Since that day, Gurlitt has been alone in his bare apartment, in a white-painted building in Munich, a city he calls a prison. And ever since the German newsweekly Focus uncovered the confiscation of his collection two weeks ago, the world’s press has been gathering downstairs, outside the front door of his apartment block. Whenever he leaves the building, he is inundated with camera flashes, as if he were a war criminal. Strangers are constantly knocking on his door and sliding letters through the mail slot. The law says that the statute of limitations for art taken during the Nazi regime expired in the 70s, but then Germany signed an agreement that there shouldn’t be a statute of limitations. The agreement is not legally binding, but was meant to repair some of the damage done during Hitler’s reign. What will happen with the artwork is unclear. Germany has little legal basis on which to hold the works at this point. Read the full Gurlitt Der Spiegel interview here. View the photo gallery of the works here. "A nation stays alive when its culture and history stay alive."